Nothing is more satisfying than getting a workout in and knowing your dog is tired and happy, too! Try exercising with your dog to build a stronger bond and work off some of their energy at the same time. Also, go for something more exciting than just a walk to mix it up and challenge both of you! If your dog doesn't know how to swim, you should try it with him because this is hands down one of the best workouts for dogs. It’s also fun for owners to enjoy some time outside, feel free to jump in and swim also. This is a great way to tire your dog out quickly without putting a lot of stress on their bodies. One minute of swimming is the equivalent to four minutes of walking. So keep this in mind and don't accidentally overwork them. Please use a life jacket to help keep their heads above water, otherwise they can ingest too much which can cause water intoxication or other issues. Your dog will need to know how to swim first, but it makes a swimming session even more fun if you can be paddling alongside them. Use the paddle board as a floating dock for you and your dog to rest on and jump off of. Don’t forget life jackets! This is a great exercise for those who enjoy spending time in the outdoors. The altitude will help build your dog’s endurance compared to a normal walk. Start slow and short though, you can do more harm than good if you work your dog too hard in high altitude, especially if they aren’t used to it. Watch out for wildlife! This is perfect if you're stuck indoors due to weather or health reasons. If you have a strong dog prepare for a tough game that will also leave you sweating! Make sure you use a proper tugging toy that won't damage their teeth or easily break apart. A fun game we play with our boys! Hide treats or toys around the house and watch them go crazy looking for the items. This is a great way to give them some mental stimulation, similar to if they were hunting a small critter in the wild. You can also do this in your backyard with their food bowl! I have always wanted to try this! Your dog must already be fit and have good endurance (goes for you, too), they should also know some directional commands. 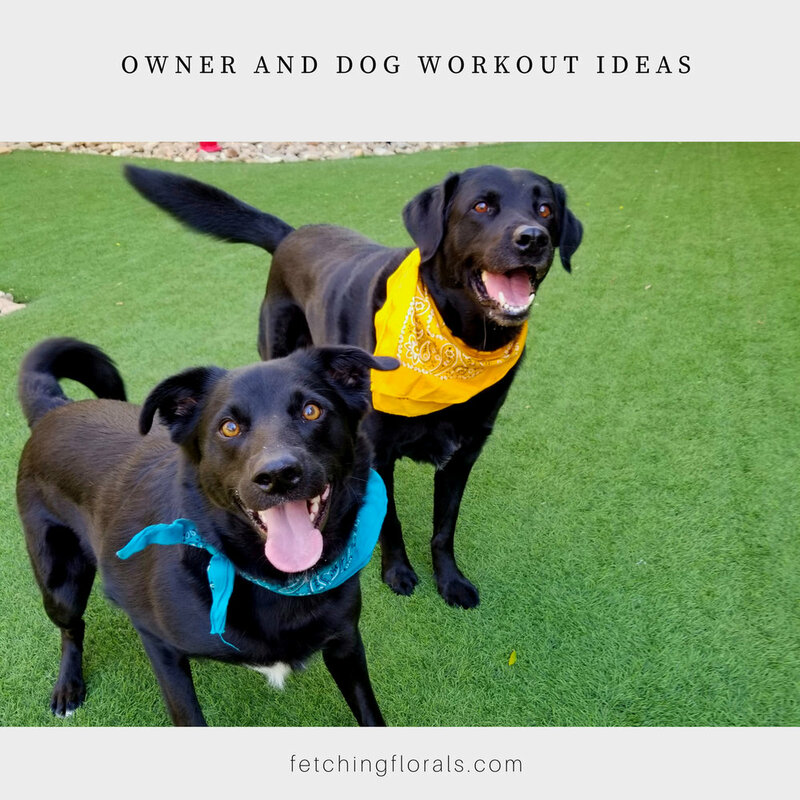 This is probably the hardest exercise for both dog and owner on this list, but you will both sleep great that night from being so worn out. Note: Do not start biking with your dog unless he is already used to running! Use a special harness and rod that connect to your bike so he can safely run alongside you. If you have access to dog-friendly biking trails you can let your dog run off-leash, but make sure they have a good recall! When we would take Ruger mountain biking, we made sure to bring a squeaky toy in case he got distracted and wanted to take off. Fortunately, he would usually be so focused on the bike it wasn’t necessary! Take breaks and don't bike at your normal pace or you can injure and overheat your pup. If you have bigger dogs and live somewhere where it snows, this is perfect for you both! Let your dog pull you or run down the hill with you. If he is doing the pulling - use a harness rather than a flat collar, and don't go down too steep of a hill that you could accidentally run into your dog. The options are endless! 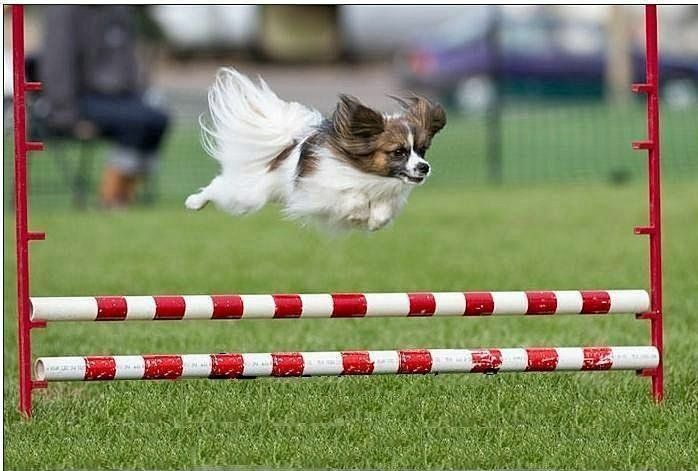 If you have a fast dog you can try agility or flyball. If your dog loves to swim perhaps try dock diving. Or, if you have a herding breed you can try treibball; which uses large exercise balls your dog can "herd" on command by pushing with his nose! This one is more for the dogs, but you can chat with the owners or run around with the pups! This also provides great socialization opportunities, just make sure all dogs participating are vaccinated and that everyone is playing nice with each other! Note - You must gauge how tired your dog is when exercising him. Most dogs do not know when to stop and will push themselves to a dangerous point. Make sure to take breaks and check on their breathing. If your dog is frantically panting, it's time to stop! Also, make sure temps aren't too extreme and always consider your dog's breed and their limitations.